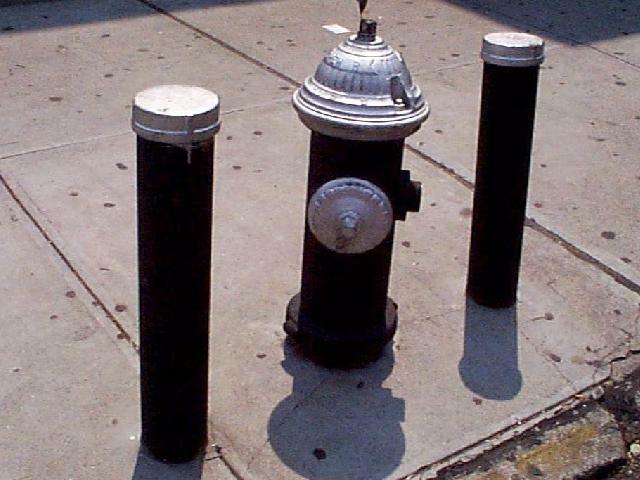 Adding to our collection of little noticed artifacts along Brooklyn's streets, we find Fire Hydrants; Grates - Sewer, and Subway; Man Hole, and Hand Hole Covers not photographed before; Subway Vent Pipes; a very old Drinking Fountain still in service, as is a Public Toilet ages old, and other things. 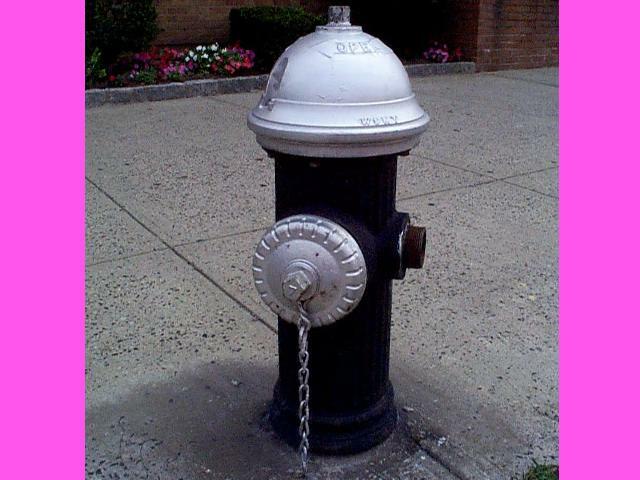 Note the silent testament to careless driving of the two pipe barriers aside the hydrant...also note the missing cap. As a favorite object to vault over, kids today would find this arrangement extremely hazardous. Chamber? 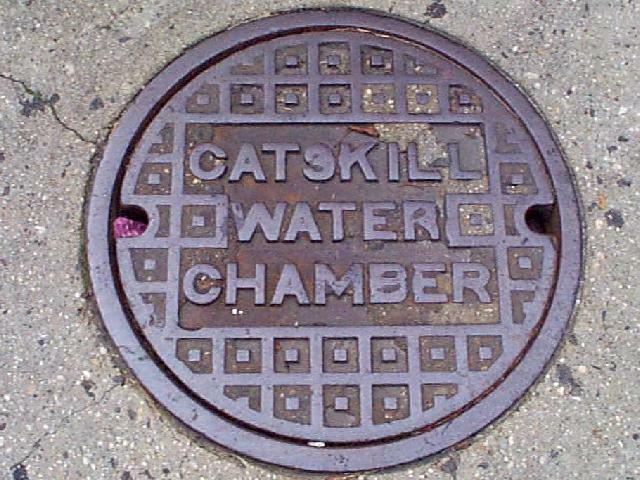 Bet you didn't know about such things beneath the street. 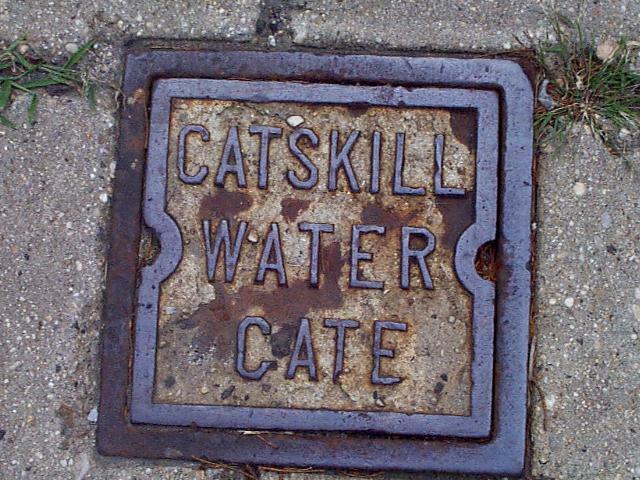 The access to a "Gate" would also be mystifying, except to know it's a very large "gate" valve...probably frozen open. 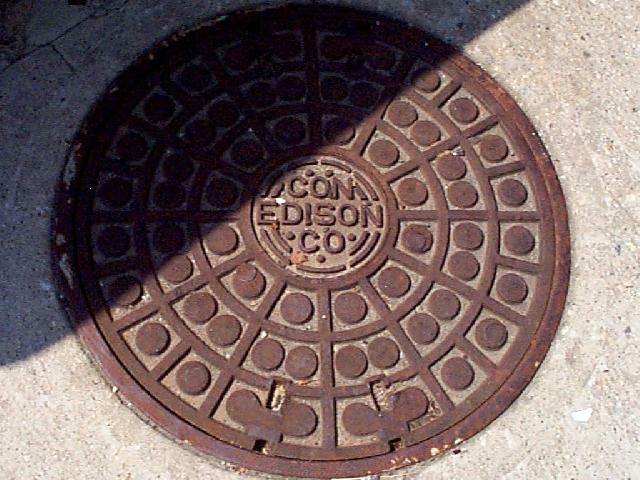 A Con ( Consolidated ) Edison man hole cover...rather ornate...most likely recently forged. 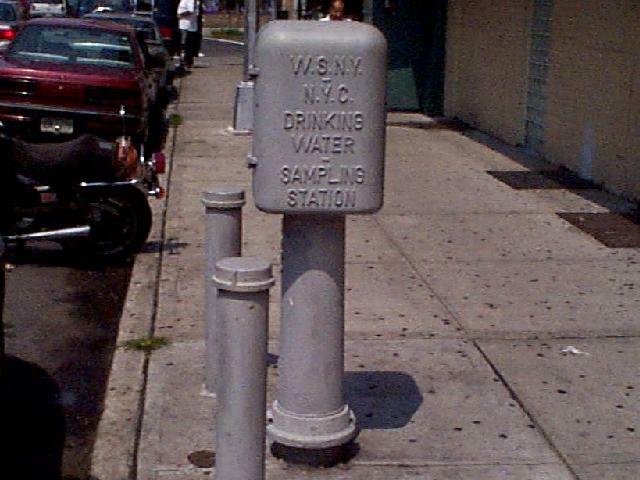 Remember the Water Sampling Station? I don't! 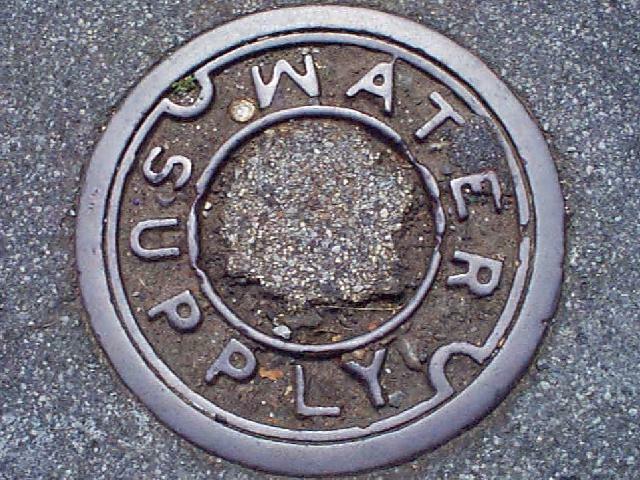 Is Brooklyn's Water becoming suspect? 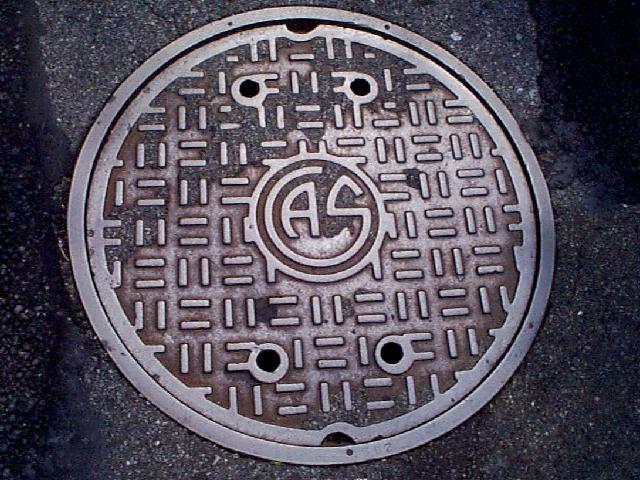 Never noticed this Gas man hole cover, but it looks old! 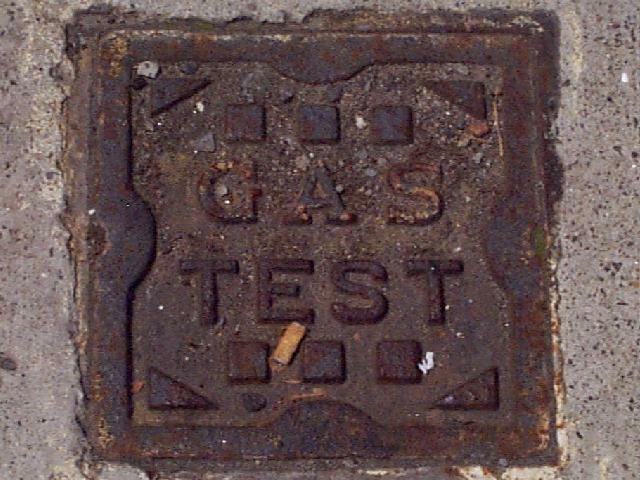 A small hand hole for access for testing gas leaks presumably...or is gas becoming suspect as to quality? 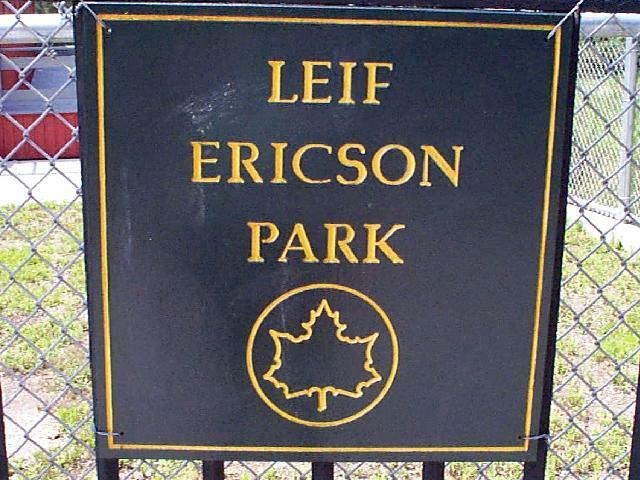 Leif Ericson Park sign held up by bailing wire. 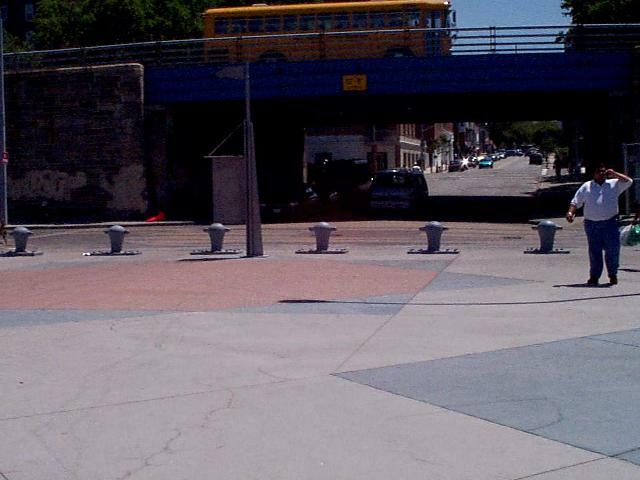 What's the chain link fence afixed to the ornate fencing for...to keep pets out? 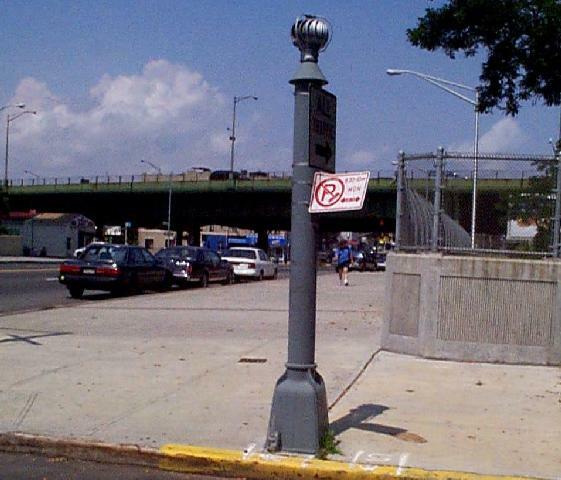 Looking up 69th Street from the pier we notice a sad commentary in the copius use of bollards prohibiting vehicles from the pier, whereas at one time they were used to moore ships. 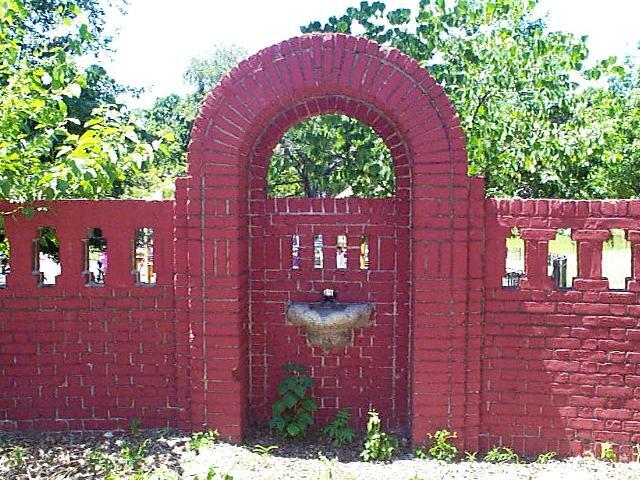 This Stone Drinking Fountain is indeed old, and a surprise to see still in service. 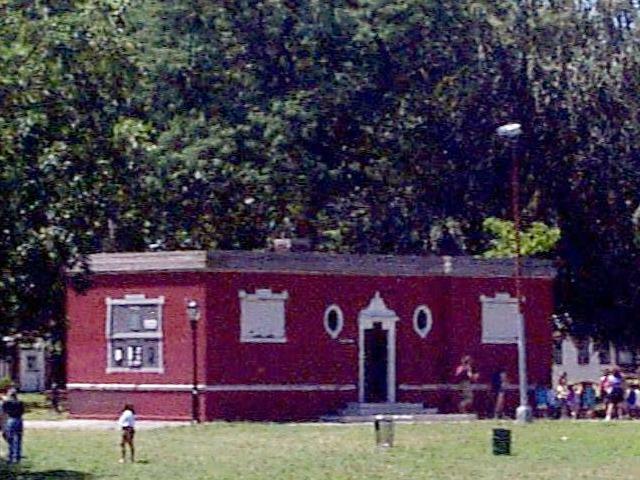 We can remember them by the hundreds round about the parks in Brooklyn, as well as the Public Toilet. 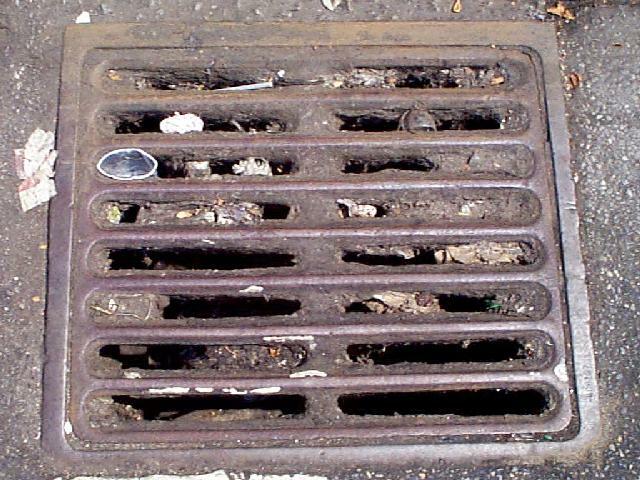 The Sewer Grate is recent...cast in India. Wouldn't have been there when we were kids! 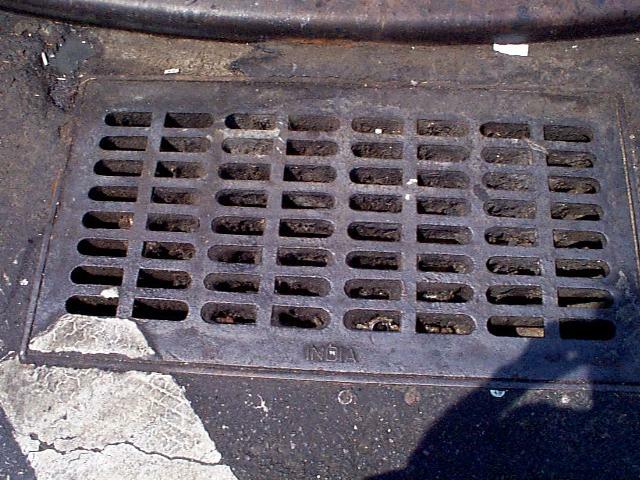 Alright...getting authentic once again...these Sewer Grates caught many a spalding from being lost, and those Subway Grates caught many a high-heel. 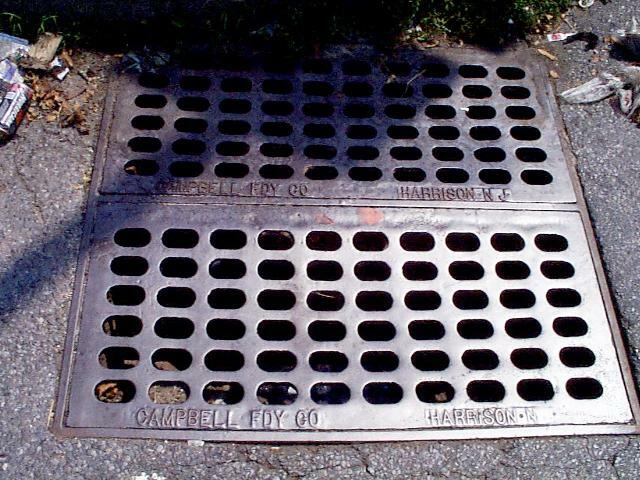 Below, a couple of access covers to water supply surprisingly still in place. Probably no point in stealing unless the unit as a whole could be had. Catch this Subway System Vent Pipe addition - the cheap turbine fan on top. 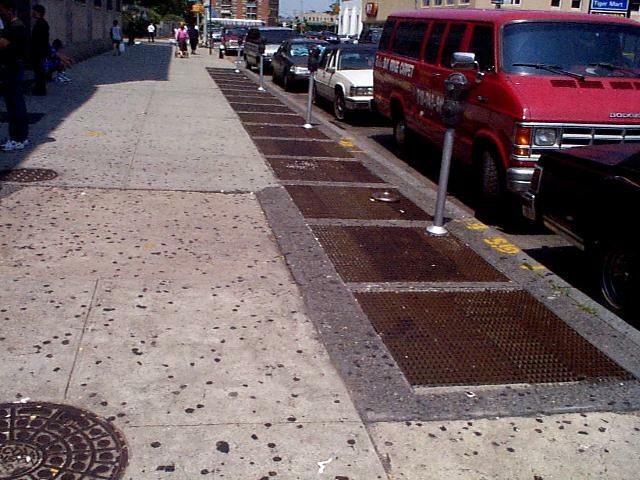 Like the "jury rigged" Park sign, it seems Brooklyn is "mending, and making do" honky-tonk like. Interesting to note the lone photo at the bottom. First of all, once again a cap is missing...even its lanyard. The dome, or bonnet of the hydrant isn't crenelated, but smooth...giving it a less artistic look...more or less like a helmet. 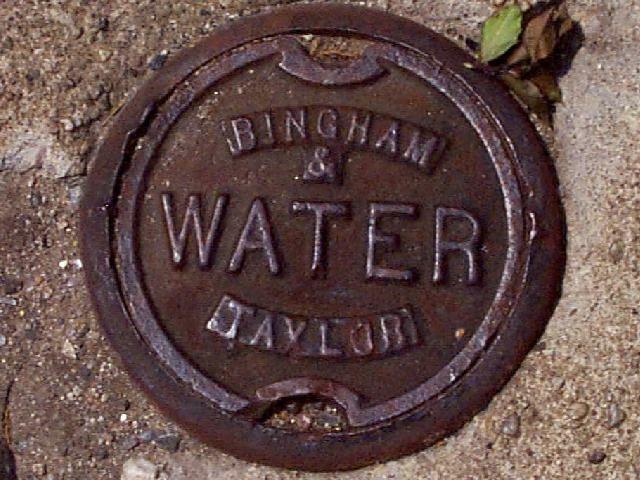 It looks old because of no flanges at its base, and may be, but it isn't a "Bay Ridge" hydrant.